The Blenheim 3-colour Birdseye Merino Wool socks are are part of Pantherella's Vintage Collection that sees iconic Pantherella designs matched with classic colour palettes to create timeless style. 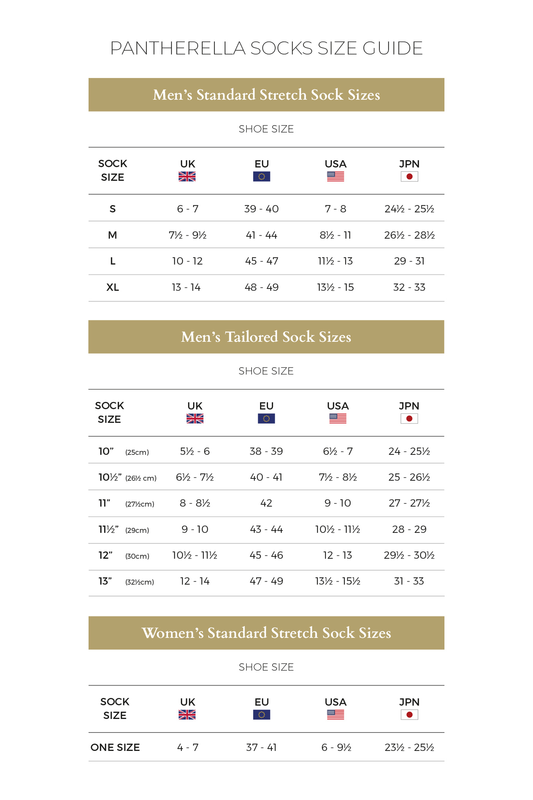 Merino wool socks are a favourite all year round thanks to their yarn for its unique body temperature regulating properties. Quality that is both comfortable to wear, and long-lasting. The Blenheim men's socks feature the famous Pantherella 'seamless' toe, as you'd expect with a sock of this quality.